ADHD, Attention-Deficit/Hyperactivity Disorder, is a mental health disorder that includes a combination of persistent problems, such as difficulty paying attention, hyperactivity and impulsive behavior. Not only does it make it difficult to concentrate and stay focused, but everyday maintenance and keeping an organized home, office and calendar can be quite a challenge. If you have been diagnosed with ADHD, working with a mental health professional to help manage it can be very beneficial. In addition to therapy, medications and other assistance, a professional organizer can help you to set up systems to help you stay organized. 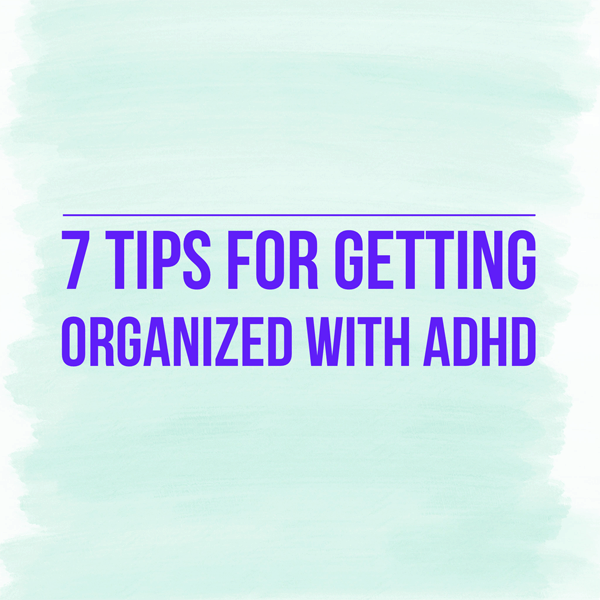 Below are some tips for getting organized if you’ve been diagnosed with ADHD. The more you have, the more there is to organize, clean and sort through. This can cause your space to feel chaotic and cluttered. Purge and declutter items to help remove visual distractions that prevent you from focusing. Make sure all items you need and use have a home. This will save you time searching for things. Use clear containers and clear Ziploc bags to sort and separate categories, so you’ll be able to see everything. Use labels and color coding to make it even easier to find items and put them away. At end of every day, spend a few minutes putting everything back in its proper place. Set up systems for sorting through mail and paying bills. Designating one spot to collect all mail and a time to look through it is key. Setting up automatic bill pay can also help. Meal planning involves keeping a list of groceries and meal ingredients needed, a time to shop for and put away these items, and time for cooking and eating. Use a paper calendar, to-do lists, dry erase boards or digital apps to keep track of meal planning. Paper and digital calendars, planners, to-do lists, timers, and setting electronic alerts and reminders are just some tools that can help manage time. Set small goals, and take it one step at a time. Make sure you set deadlines and time limits on these tasks. Take breaks when needed and don’t multitask. Do not over-commit yourself. Be willing to delegate some tasks to others.